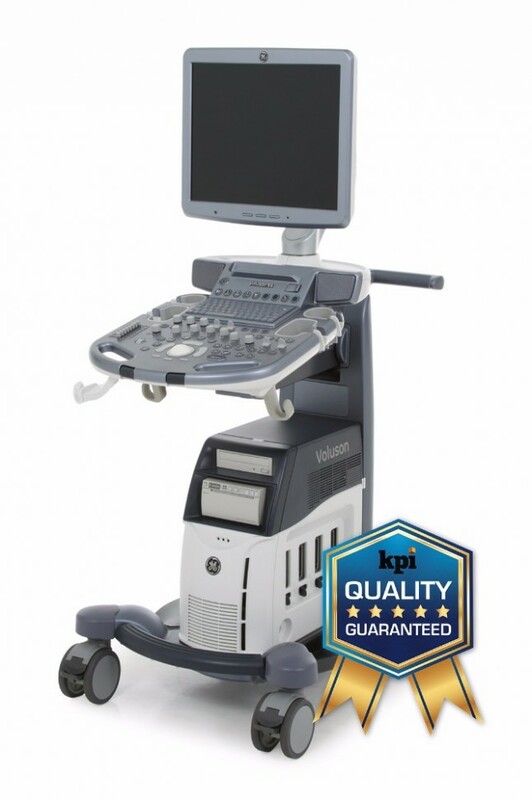 The GE Voluson S6 is a midrange 4D OB/GYN ultrasound machine that shares some transducers with the Voluson-i portable. It is the replacement for the Voluson 730 pro and is much smaller and lighter than any other Voluson console. This together with a battery allow it to easily be wheeled from room to room without rebooting. The Voluson S6 is a lower priced version of the S8 with less features and probes, but the two look nearly identical.